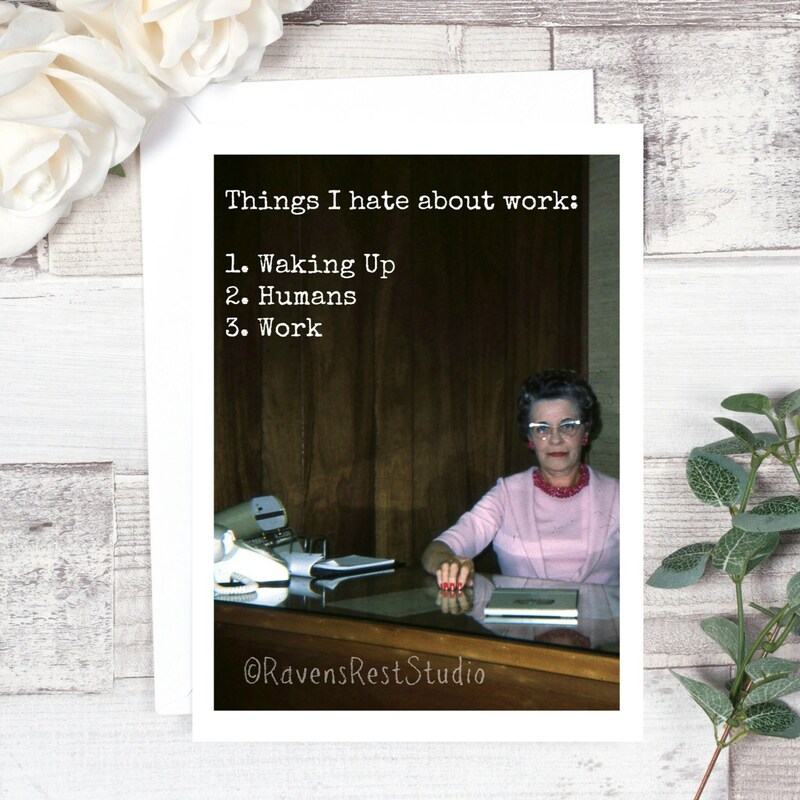 This card features a vintage secretary sitting at her desk and reads: "Things I hate about work: 1. 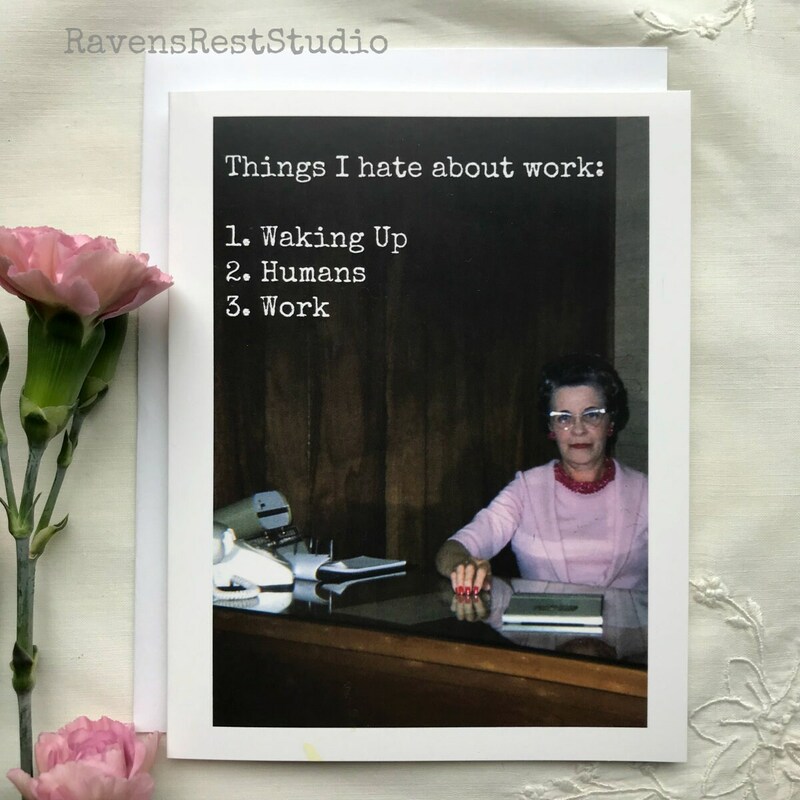 Waking Up 2. 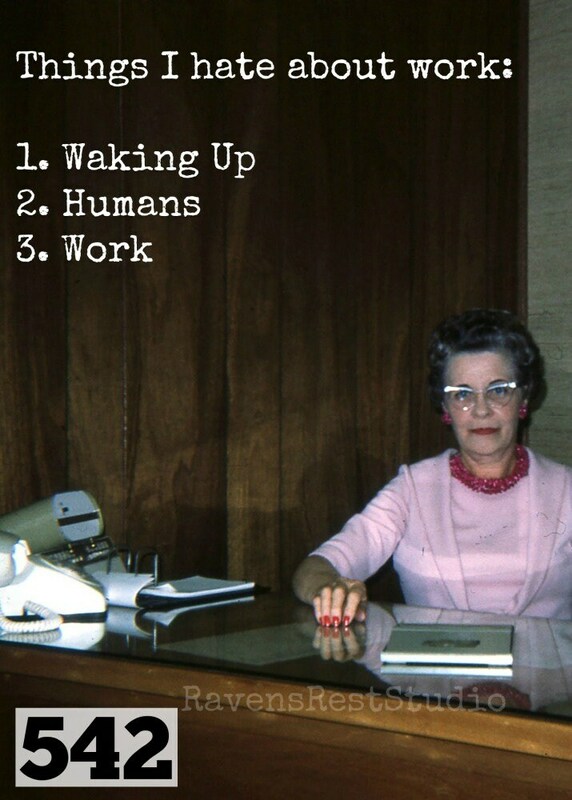 Humans 3. Work".